Italian armorers were industry leaders during the Renaissance era, known for their exceptionally high quality plate armor. 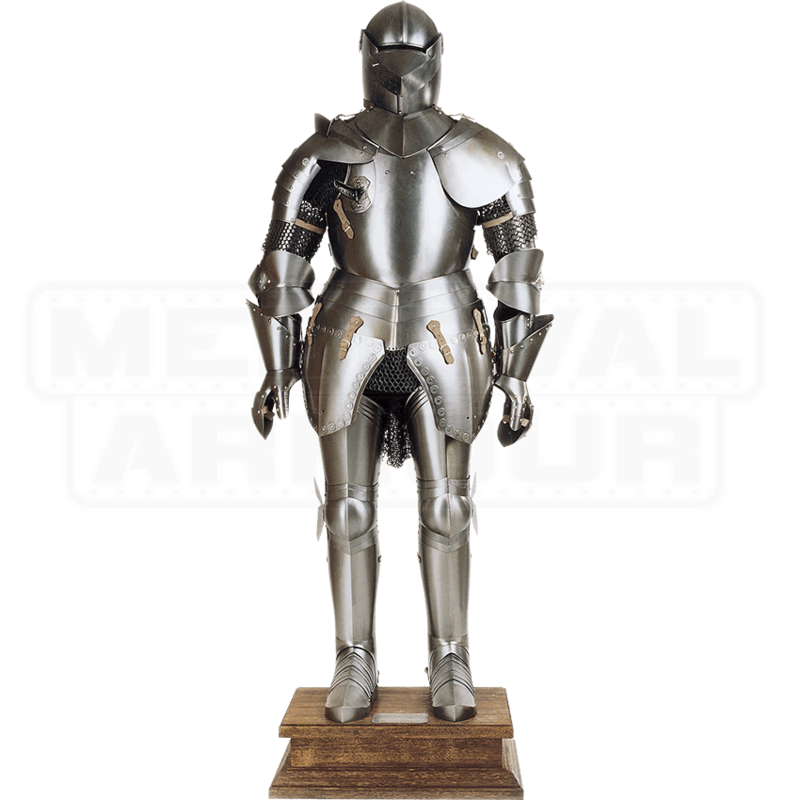 You can experience this historic master craftsmanship first hand with the Men At Arms Full Suit of Armor. It is handcrafted in Italy from 16 gauge steel and displays the traditional smooth steel plates which were made famous in this region centuries ago. Its appearance is reminiscent of armor which would have been commissioned for a nobleman or captain late 15th century. It is a wearable set of armor and is equipped with an extraordinary men at arms helmet, that features a visor and narrow eye slit. This Renaissance regalia also includes a beautiful wooden pedestal, allowing for its majestic display in either office or home. 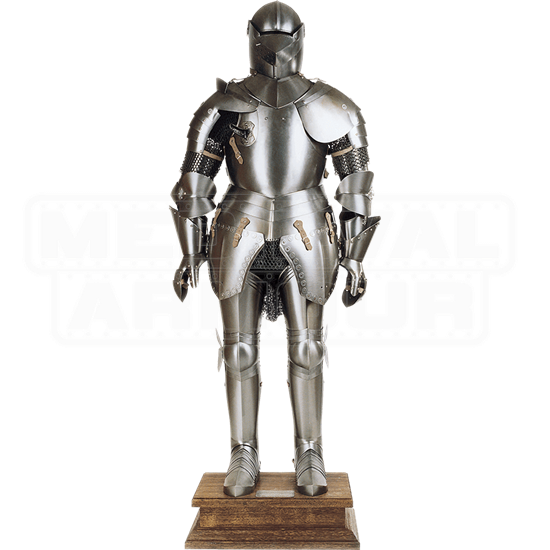 Immerse yourself in the knightly style of the Italian Renaissance with the exquisitely crafted Men At Arms Full Suit of Armor.